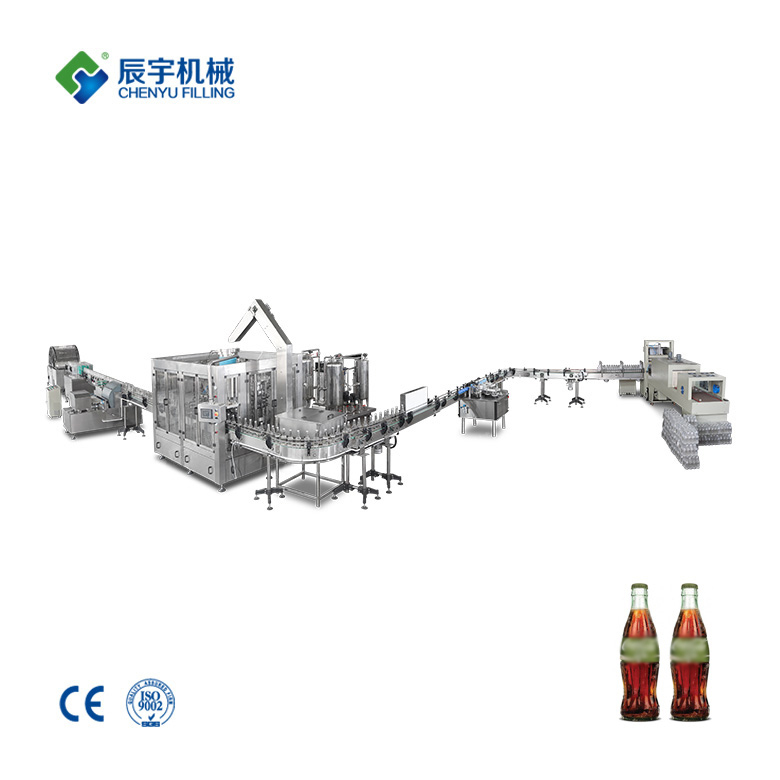 Small carbonated beverage equipment mainly consists of finished water pipes, water storage bags, lifting and filling valves, positioning and assembly. 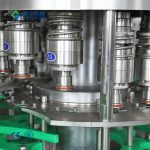 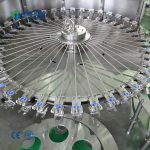 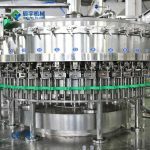 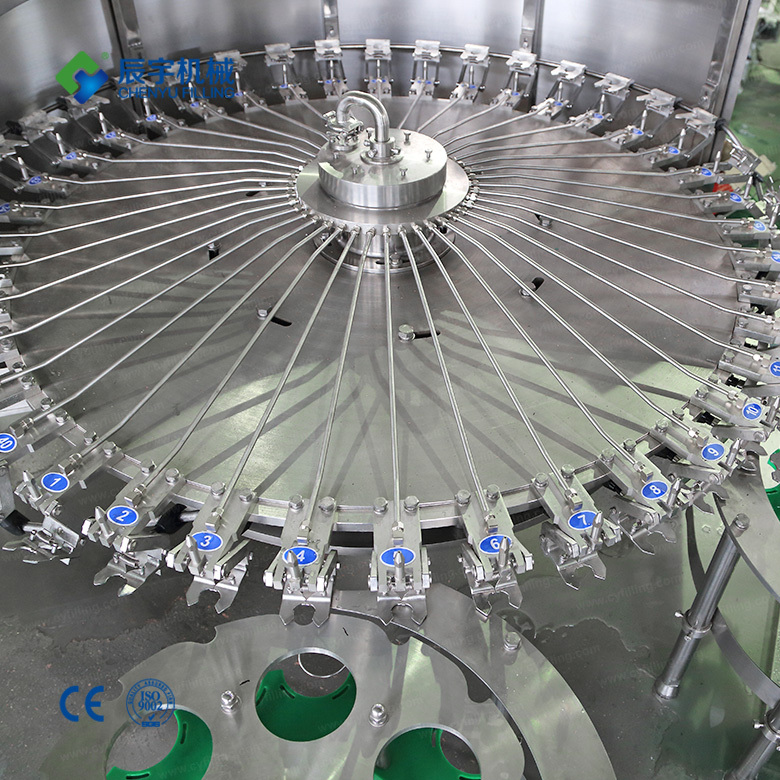 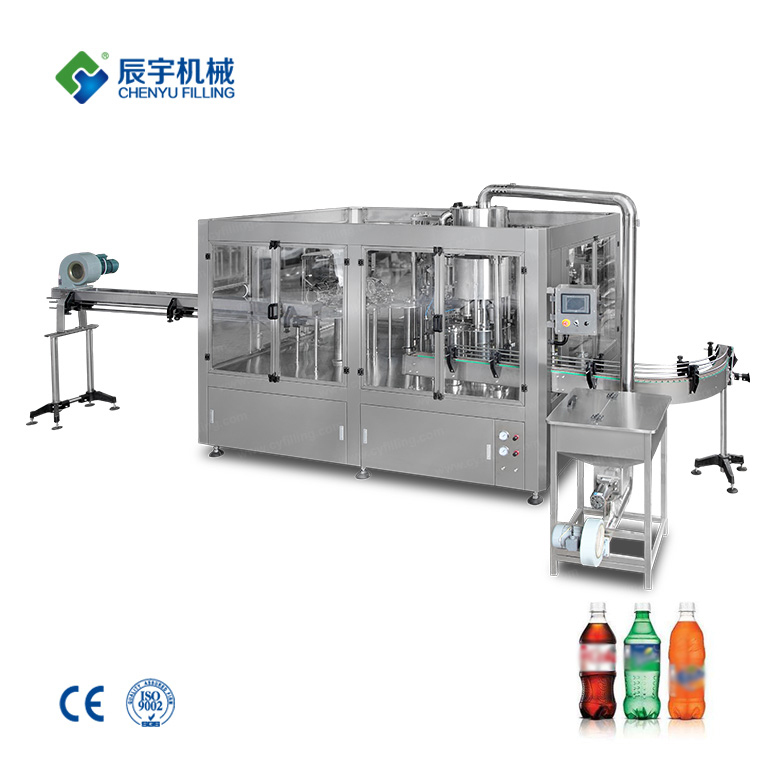 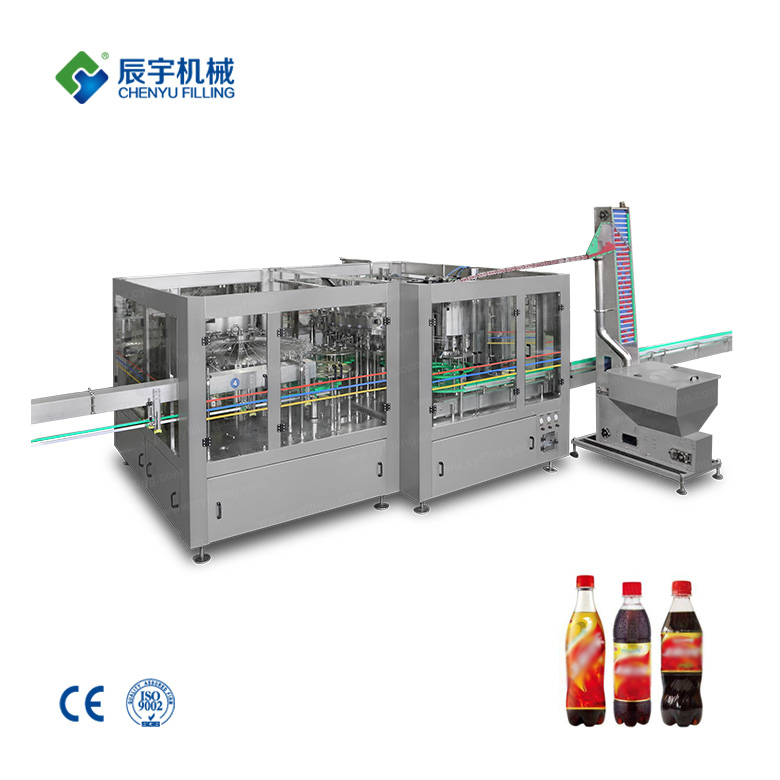 After the bottle is positioned, the filling machine moves up and down under the action of the cylinder and controls the opening and closing of the valve by the bottle mouth limit control. 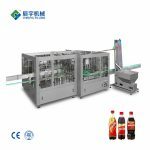 The product water is injected into the bottle through the pipeline and the water bag is filled into the filling valve to ensure the filling accuracy and the liquid level are adjustable, and the filling sealing property is ensured. 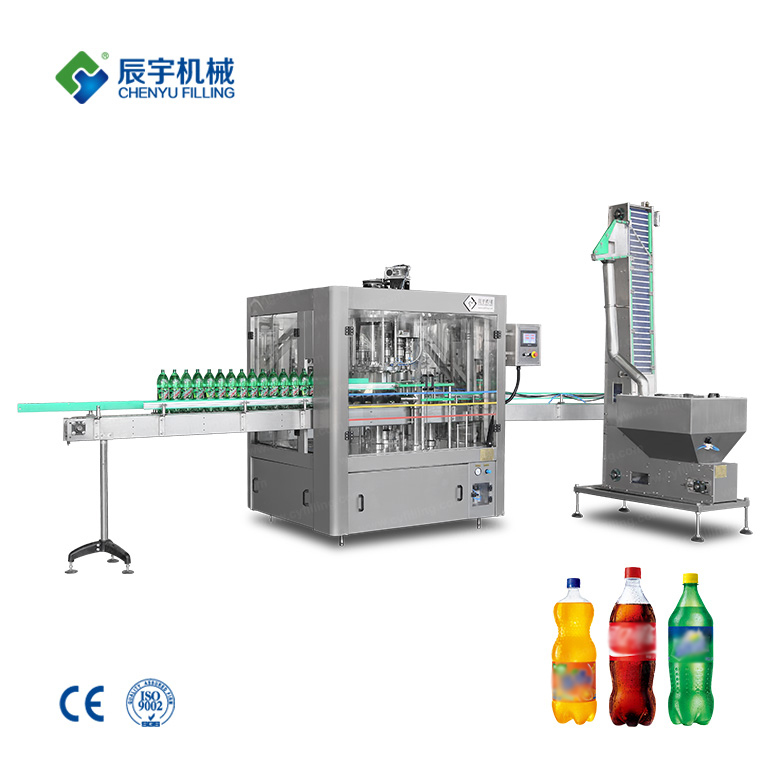 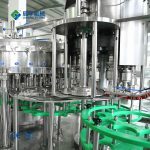 The bottle washing part of the small carbonated beverage equipment mainly consists of a rack, a stainless steel frame, a water inlet pipe, a bottle head, a rail, a lower water tray, an upper water tray and a plexiglass cover. 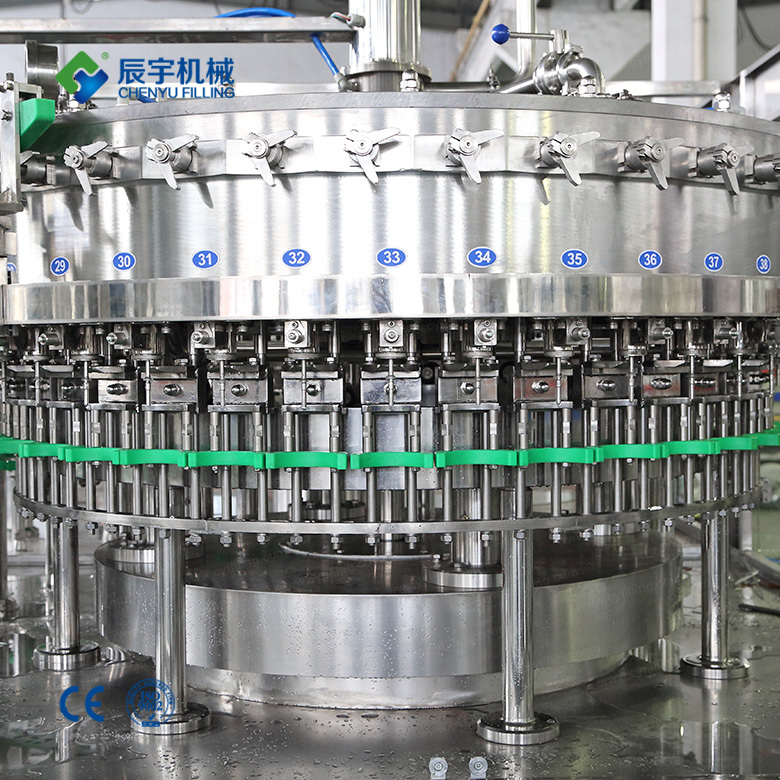 After the bottle is positioned, the bottle is clamped. 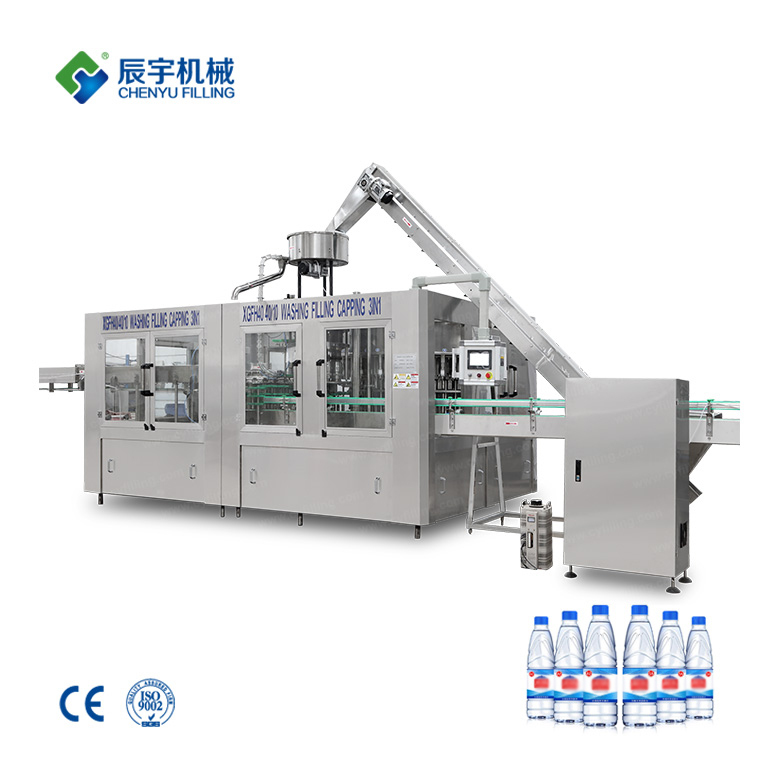 The mouth is turned over 180 degrees upside down, and after the flushing is completed, it is rotated 180 degrees to the conveyor chain, which can effectively rinse the bottle inside and outside, and avoid splashing of the washing liquid, and has excellent maintenance interchangeability and reliability. 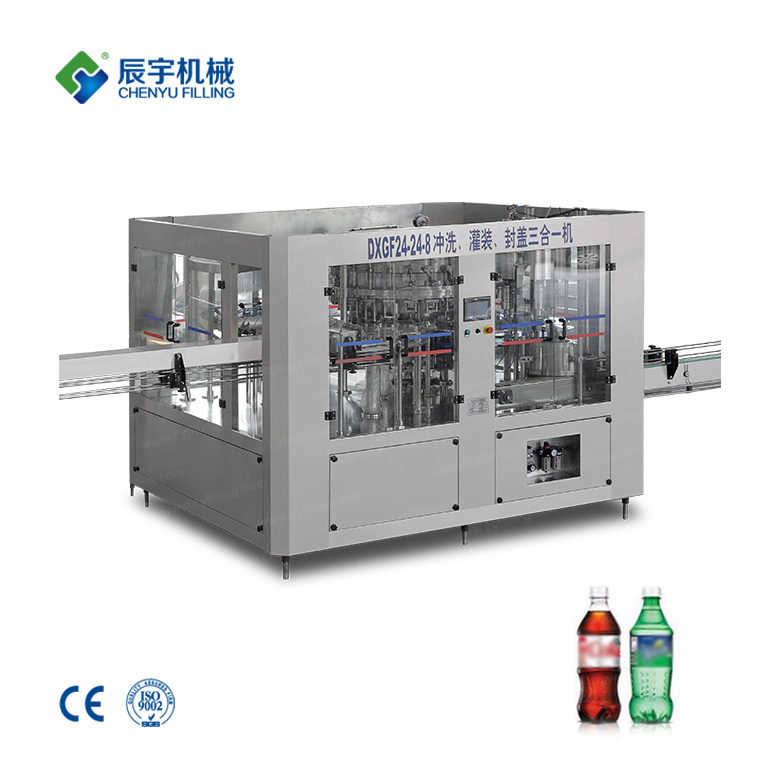 The small carbonated beverage equipment combines the technology of Italy, Germany and France, adopts the capping mechanism of imported high-energy permanent magnets, has flat cover and top cover device, low waste cover rate, adjustable torque, stable and reliable operation, and high qualified rate of cover.